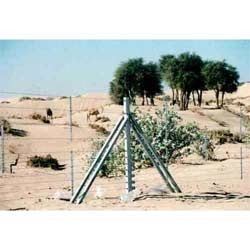 We are the Leading supplier, manufacturer and exporter of Sand Fence such as Camel Fence, Dropper Bar, Eye Bolt, Desert Fence and more from Chandigarh. These Fencing are widely appreciated by our valuable client. 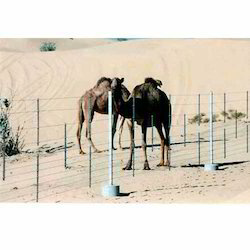 We are the leading manufacturer and exporter of Camel Fence. The steel fencing is appreciated for its sturdy built and durable nature. 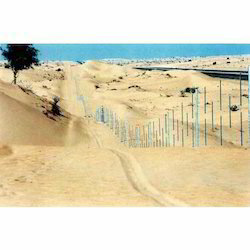 We offer our clients a comprehensive range of Highway Sand Fence that meet the needs of any construction site. Our Highway Sand Fence is available in high-visibility vibrant colors such as orange, florescent, etc. We are offering wide range of Sand Fence to our client. We do an extensive research in the market and understand the requirements of client. Our wide variety of sand fence have helped us in becoming the renowned brand in the Industry. Being a well-established organization, we are engaged in manufacturer a distinguished range of Desert Fence. Looking for Sand Fence ?